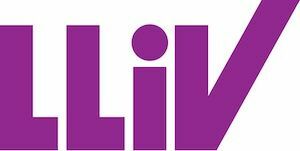 LLiV Your Life | What Makes LLiV Yoga Different To Other Yoga Styles, & Why It's Right For You. What Makes LLiV Yoga Different To Other Yoga Styles, And Is It Right For You? As a general rule, yoga is pretty great for everyone, and any style will go a long way to strengthen your body, improve your flexibility and reduce stress. However, not all yoga styles were created equal. Let’s go back in time, in fact 5,000 years to when yoga came to be. It was India, it was hot, and it was for young boys who sat on the floor, lived simple lives and moved around. Now, let’s compare to modern day: the chances are you spend most of your day sitting at a desk, staring at a computer screen, with a somewhat complicated life, high levels of stress and not much movement outside of your evening or weekend exercise. Our backs are super tight in some areas and weakened in others – who doesn’t have back pain? 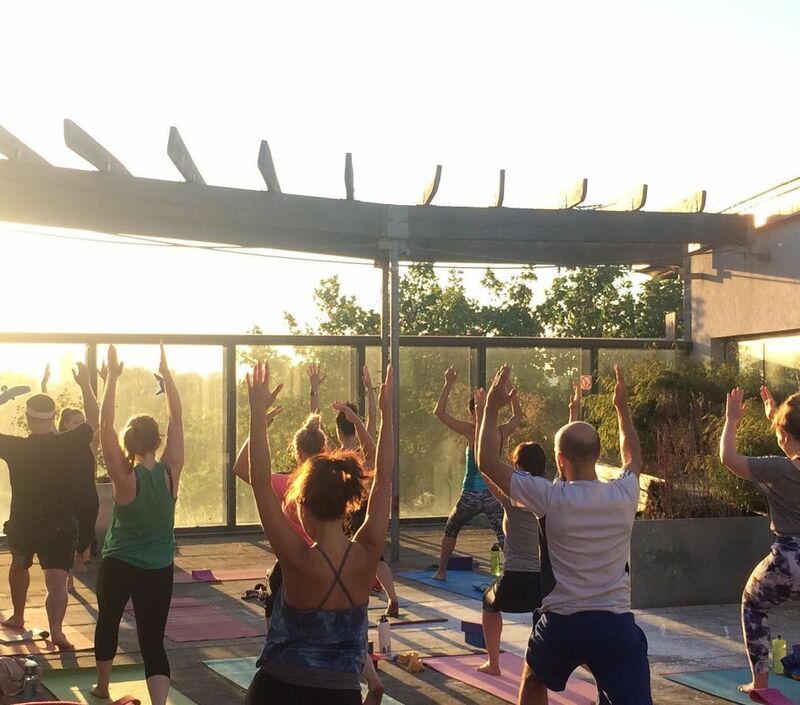 At LLiV, we felt yoga needed to adapt to the 21st Century, which is why we do things a little differently. You either love them or hate them, but lunges and traditional Sun Salutations are really good for you. Most yoga is very focused on stretching the hamstrings. However, our sedentary lifestyle and hours of desk-jockeying shortens the muscles at the front of the hips. And, guess what, running and cycling also shortens them. When these muscles tighten and shorten they can tilt the pelvis forward which in turn moves the spine out of alignment, or impacts the knees and ankles. So all the lunges and hip flexor stretches in a LLiV Yoga class help lengthen shortened hip muscles, realign the spine and bring relief from back, shoulder, knee and ankle pain. This is a little more complicated to explain but in essence you're building strength in the latissimus dorsi and serratus anterior muscles. (Errr, what?!). OK, so these muscles help with good posture and stabilising the back and shoulder blades, and help combat hunching. Strong serratus give your arms a wider range of movement and make nerve impingements and rotator cuff injuries less likely. If that doesn't mean much to you, just know that you're helping prevent shoulder injury, building strength and support in your back, and are preparing for cool poses like arm balances. When you lift your toes, this sets off a chain reaction of muscle activation, which builds strength and support in the ankle, realigns the knees, activates the thighs, switches on the hips and lower back, and ultimately helps protect the spine. It's also great for people who get shin splints. So raising your tootsies not only helps bring the bottom half of your body alive in the practice - which means you work harder - but the effect passes up to your spine. All those hours of sitting with a slumped posture collapses the spine and puts pressure on the discs between the vertebrae. Bringing space to the spine literally tractions out the spine and its supporting back muscles, relieves compression to the discs and helps realign nerves. So how do we lengthen the spine in yoga: Tucking your tailbone (which is more subtle than tilting the pelvis); pulling your arms toward you when you’re in cobra; lengthening before a spinal twist; and pushing the body away from the hips when lying on your back. These all traction out your back and create space between your vertebrae. It's even saved a student from back surgery! Once again, if you sit at a desk all day the chances are it's impacting the alignment of your neck and shoulders, and causing tension, and maybe headaches. So cranking your head back, or twisting it around to look at the ceiling can be painful or result in muscle spasm. There's good pain and bad pain, and cranking or spasm is BAD pain! We don't like it, which is why we’d rather you relax your neck and get a passive stretch to it. Yoga poses are great but when you have specific tight spots, you NEED to get in to them and find release. Those young male pioneer yogis didn't have to deal with people not liking their Facebook post, commuting from Clapham Common tube station, or Donald Trump being a world leader. So it’s likely they had less stress and tension in their lives and bodies, and the yoga poses in their purest form did the job. We expect your body is riddled with areas of tightness and tension that are unique to you, so we encourage you to wriggle, sway, play around with the yoga poses, and find your personal tight spots... and feel the difference it makes. Making noise in yoga is about letting stuff go and getting stuff out of your system. Noise is a very primal way of creating release. It also switches on the part of the brain that sends your body messages that it’s OK to relax. When you're stressed your body is only concerned with survival so puts functions like healing and repair on hold. Long term, this is extremely damaging for your body. So, roaring or groaning some of your frustration and stress out, kickstarts your body’s recovery from stress. Thanks to Dylan Ayaloo for developing the amazing LLiV base sequence and training each and every one of our teachers. I am yet to find a yoga sequence that is (a) more intelligent in how it works through the layers of the body, and (b) leaves the body more released, realigned and reset. Dylan, you rocked this one! So, is LLiV Yoga right for you? Well, if you live in the 21st Century, the chances are you have some stuff going on in your body and life we can help with. To find out, give it a try with our Unlimited Introductory Offer. Shift toxic weight, reboot your digestive and immune systems, and kickstart your metabolism with our 14 Day Guided Cleanse. If this blog was useful, or made a difference to you, please share it. BECOME MORE OF WHO YOU ARE! Increase your energy and positivity, and improve your wellbeing. FREE DOWNLOAD - 10 Seps to a Vital Life.